Visitors to Copenhagen now have something else to access on their itinerary: Taim Restaurant – the only kosher restaurant in the entire country. 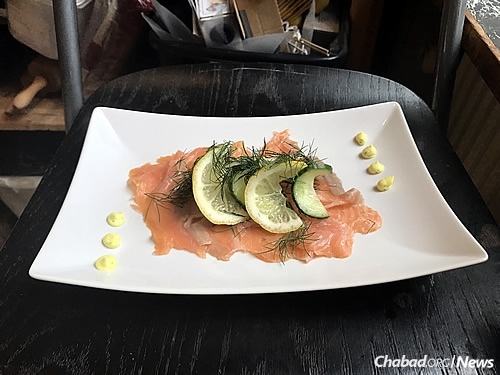 While the restaurant is barely a month old, Chabad of Copenhagen’s Rabbi Yitzi and Rochel Loewenthal have been working on the concept for a long time. The rabbi, originally from London, stresses the idea of hyggespisenings: the Danish concept of a community social meal. "The Danes place a real emphasis on food culture - encouraging people to sit and savour their food, spending time enjoying good company and quality ingredients; even including children in the kitchen and the cooking process," he says. Bo Aronsohn, a car mechanic originally from Sweden, added "After many years of living here, it is fantastic to have this opportunity - for myself and my family - to both enjoy tasty kosher food and have the social benefits a restaurant brings. We are happy and very excited." Having the opportunity to eat a kosher meat meal out in Denmark is no small matter. Since February 2014, all animals slaughtered in Denmark must be stunned before being killed; effectively banning all kosher and halal slaughter. Kosher meat is now only available if imported. The menu includes smoked Norwegian salmon, caramelized noodles, grilled chicken, rib-eye steak, grilled salmon, goulash, a varied children’s menu; and a full bar. 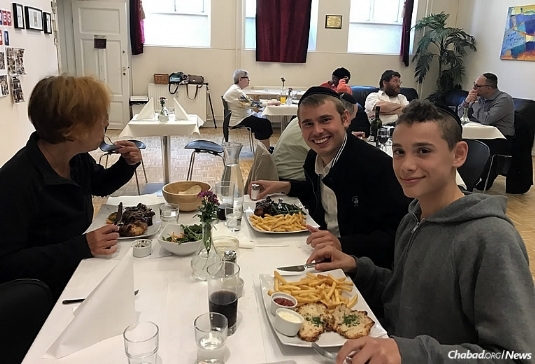 While meals for Shabbat & Yom Tov have always been available at the Chabad House, locals and tourists can now enjoy kosher every weekday evening from 5 p.m. to 8:30 p.m. (except Shabbat and Yom Tov when the Chabad House takes over again.) Taim also offers catering and delivery to area hotels and conference centres. In addition to serving the community, the restaurant also helps support the local kosher store, Gil’s Deli, which provides meat for Taim and has created local jobs. For more information click here.